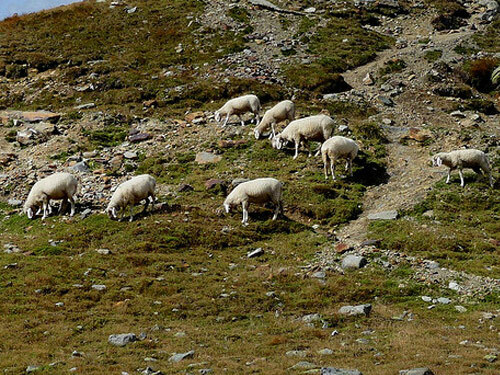 The Tyrol Mountain is similar to the Carinthian but has better wool, a white face and longer ears. The breed is also occasionally pied or black. Both sexes are polled. The Tyrol Mountain originated from Bergamasca, Steinschaf, and Spiegel variety of Carinthian.